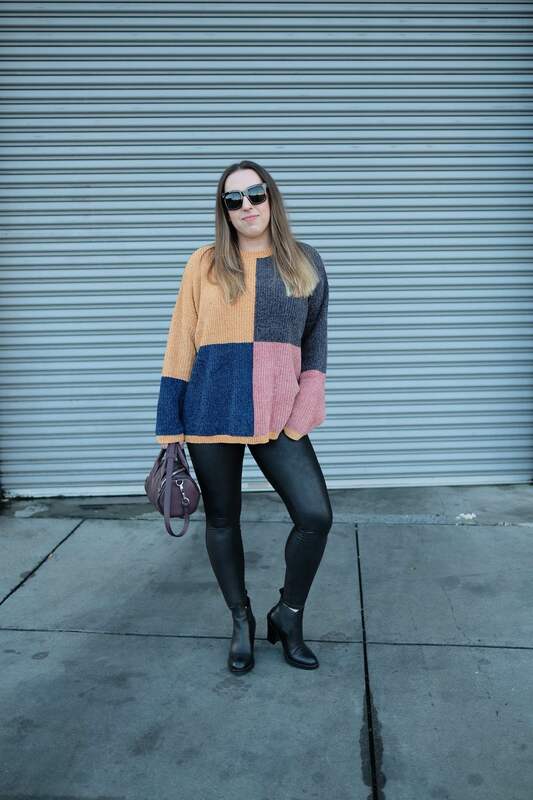 One outfit I have on heavy rotation this season is faux leather leggings and an oversized sweater. This particular chenille colorblock sweater by VICI is unbelievably cozy and soft. The chenille fabric is so snuggly to the touch and can be worn either solo or as a layering piece. Have you tried anything from their line before? I’m really digging their stuff right now! 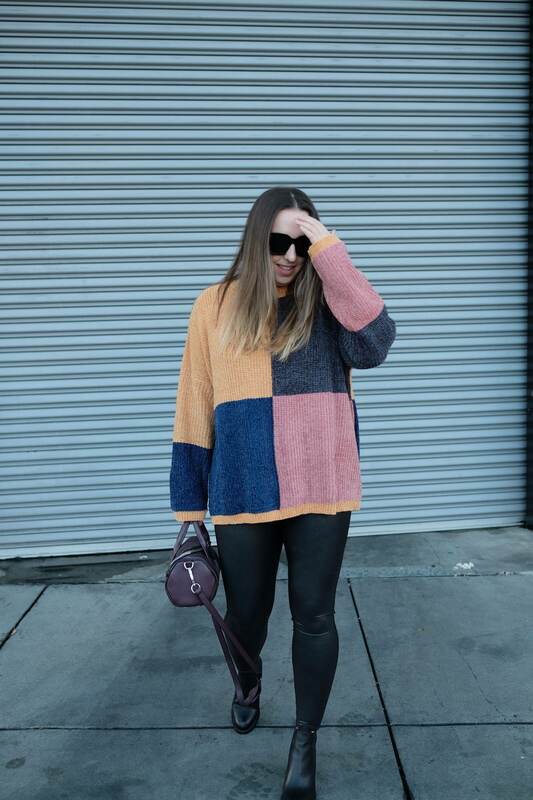 Are you into this chenille colorblock sweater trend? If colorblocking isn’t your thing, VICI has a ton of other solid and printed chenille sweaters to choose from. 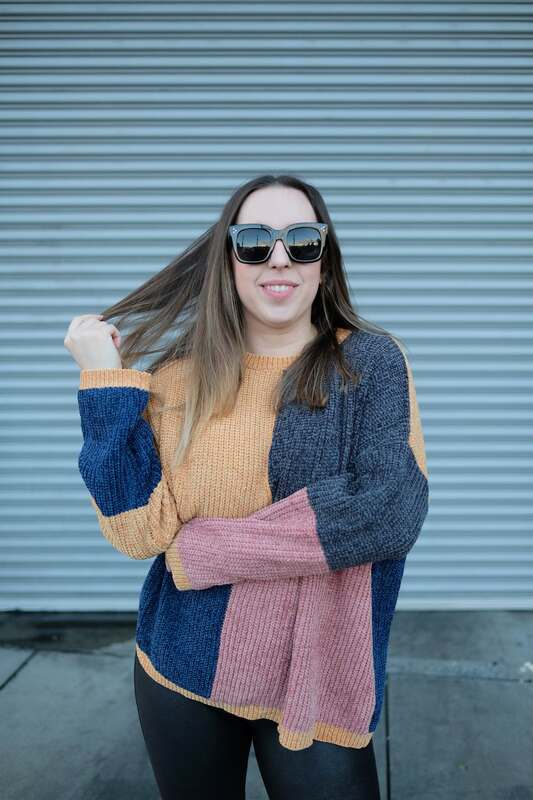 Be sure to check out some of my other outfits or style posts before you go. I’m still on my wardrobe minimalism kick, so expect to see this piece again. I already know it’s going to be a closet staple. Thanks so much for reading! Sweater was provided for consideration courtesy of VICI. All opinions shared are my own. I love the sweater, so cool and the colours do make it look super chic. What a pretty sweater! And you look in it! Very stylish! I never would’ve thought to put those colors together, but they look amazing! This looks so cute and comfy… I love how you paired it with black leggings!! Perfect winter style!! 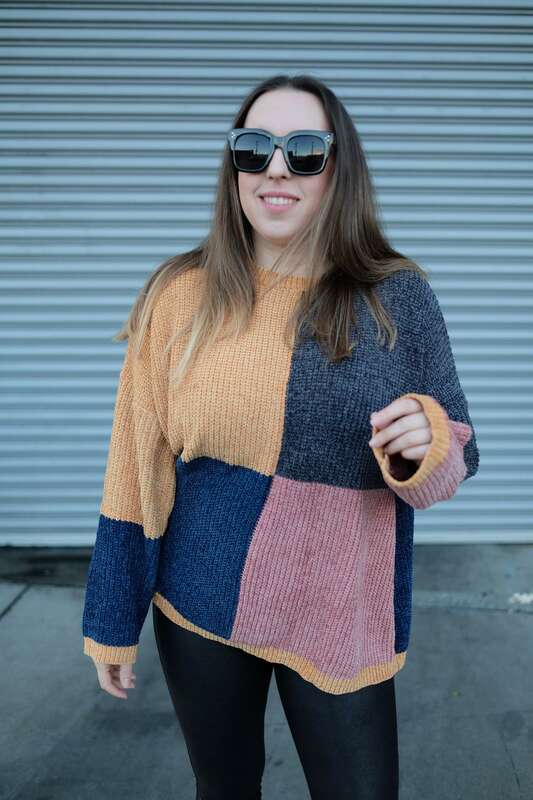 Been looking for a color block sweater. Love this, definitely purchasing! This one is so soft, you’ll love it! I wear it in a large and it’s oversized. Those aren’t normally colors I would pair together, but they look amazing together!! I love tops like that! So cute gf!! Same feelings exactly! I took a risk and I’m glad it worked out, absolutely love it.